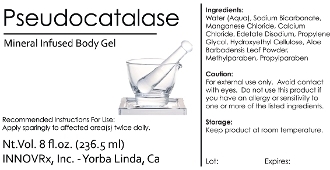 8oz Bottle of Pseudocatalase Cosmetic Gel. Visit www.pseudocatalase.com for additional information. Please note that product is made fresh to order and expires 7-8 weeks after it is shipped out.